Build confidence in your brand and eliminate the buyer's uncertainty of your pre-owned inventory. 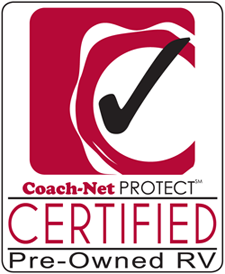 Leverage the legendary brand and industry commitment of Coach-Net's Certified Pre-Owned program. Your customers will have miles of RV opportunities and the peace of mind to drive it.